What made you switch from journalism to jewelry design? How do I find you on Facebook and Twitter? What kind of jewelry do you design? Why are some of your pieces so expensive? Do you make engagement and wedding rings? Will you redesign my old jewelry? What can I expect to read here? What does “Wear What You Want” mean? How do I navigate through the blog content? What is the Thanks for the Mention list? What is the Interviews list? Why do you sign your blog posts “WendyB”? What’s the blog comment policy? Will you answer my comment? Who is the cast of characters on this blog? What’s with all the links? What awards has this blog won? Do you accept advertising or guest posts? People think my love of fashion is silly. What should I say to them? Where do you store all your clothes? I am a journalist-turned-jewelry designer. I graduated from Columbia University in New York with a bachelor’s degree in English. I worked at Dow Jones New Service, the Wall Street Journal, CNN and People.com, and later became the managing editor of websites for the now-defunct Lehman Brothers. I left the corporate world in 2005 to spread happiness by creating wearable works of art. I always daydreamed of doing something entrepreneurial in fashion, but I was 100% devoted to journalism. I worked in business news for nine years and hoped to switch to pop-culture coverage. I finally got my dream job as managing editor of People magazine’s website. To make a long story short, no one at People’s parent company had a reasonable Internet strategy. I had five bosses in one year. Time Warner, the parent company, finally merged with AOL in what’s remembered as the worst corporate deal in history. I got fed up and accepted a job running websites at Lehman Brothers. I figured at least I’d get out of journalism hell and make better money. That move made it emotionally — and financially! — possible to follow my entrepreneurial dreams. It was like a staging area for me. I doubt I would have ever gone from journalism directly into jewelry. Still, there was some drama involved in starting my jewelry company. You can read about that here. My Facebook fan page is facebook.com/wendybrandesjewelry. 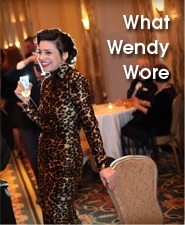 I am @WendyBrandes on Twitter. I’m also WendyBrandes on Twitter and Instagram. Conniving queens and merry medieval murderesses rank high among the inspirations for my fine jewelry. My designs run to the devious and mechanically ingenious, with pieces that open up, swivel, twist into new shapes and even whistle. I work in sterling silver, 18K gold and platinum. All gems are the real deal. Prices range from $35 to $25,000. There’s something for everyone! 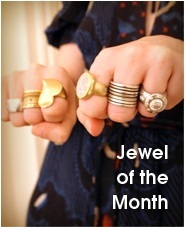 On my website, at Broken English Jewelry in Santa Monica, Calif., and at Jewel Gallery in El Paso, Texas. If you’re in or near New York Ciy and want to be invited to in-person trunk shows, follow me on Facebook or go to my site and sign up for my newsletters. This is why. And this. If what you want or what you can afford is inexpensive, mass-produced jewelry, there is plenty of that in the world. I’m not stopping you from buying that. But you should read the links here anyway. Those blog posts may help you develop a greater appreciation of the costs and benefits of U.S. labor, as well as my passion for quality and longevity. The pieces in my signature line are created to be museum-worthy a century from now, not to be thrown out after six months. Happily! If you can describe it and pay for it, I’ll do it. Contact me to make a request. Please note that custom pieces always require a 50% deposit. For general information about the price of custom work, read this blog post. Do you make engagement and wedding rings ? Those are my favorite jobs. You can choose from my inventory, or I’ll make something just for you. Contact me to discuss your dream rings. I’ll do any style from edgy to traditional, and I’ll do my best to come up with something in your budget. Got an old engagement ring that you want redesigned into either a new style of engagement ring or a new piece of jewelry? I’m happy to oblige. Of course! Redesigning jewelry is one of my specialties. Contact me to discuss your ideas. I started blogging in July 2007. I had been reading and commenting on a lot of fashion blogs and some of those bloggers encouraged me to start my own blog. I wasn’t planning to write much right away, but then pop-star Britney Spears “borrowed” one of my rings and I needed to share that news with the world! While I created this blog to promote my jewelry, I never wanted to publish a non-stop stream of press releases and corporate news. Boring! Sure, I tell you about sales, new designs, and my manufacturing process. I also write about my jewelry inspirations — mostly pre-1700s queens and other royal or notable women — so you can find out what I was thinking when I created my Empress Matilda sword necklace. But to keep things interesting, I write about what I wear, vintage clothing designers, current-day designers, music, books, medieval history, books about medieval history, feminism and things that annoy me. I think of it as a fashion blog with lots of extras. I like to make people laugh and I’ve won awards for cussing, so if you don’t like humor or profanity, you’re at the wrong blog. Click here to go where you belong. “Wear What You Want ” was my blog’s motto from 2007 to 2012. It’s still my personal style philosophy. I want people to know the style rules … and then break them! Forget the self-appointed fashion police who snark on anyone who shows a little creativity. If you’re going to a party, it’s just a few hours of your life. Don’t wear a boring black dress because you’re scared of standing out. Be the belle of the ball, not a wallflower! I live by my own motto. A noted fashion publication put my vintage leopard-print Patrick Kelly gown in a “Disaster Area” feature. That immediately turned the dress into one of my favorites. I’ve worn it many times since … and always gotten a lot of compliments. For over a year, I updated every day — weekends, holidays, vacations, sick days. Finally I decided that wasn’t necessary. Now I update an average of 4 to 5 times a week. In one of the columns on the right of the screen, you’ll find several search options. You can search by keyword or phrase, by date and by topic. 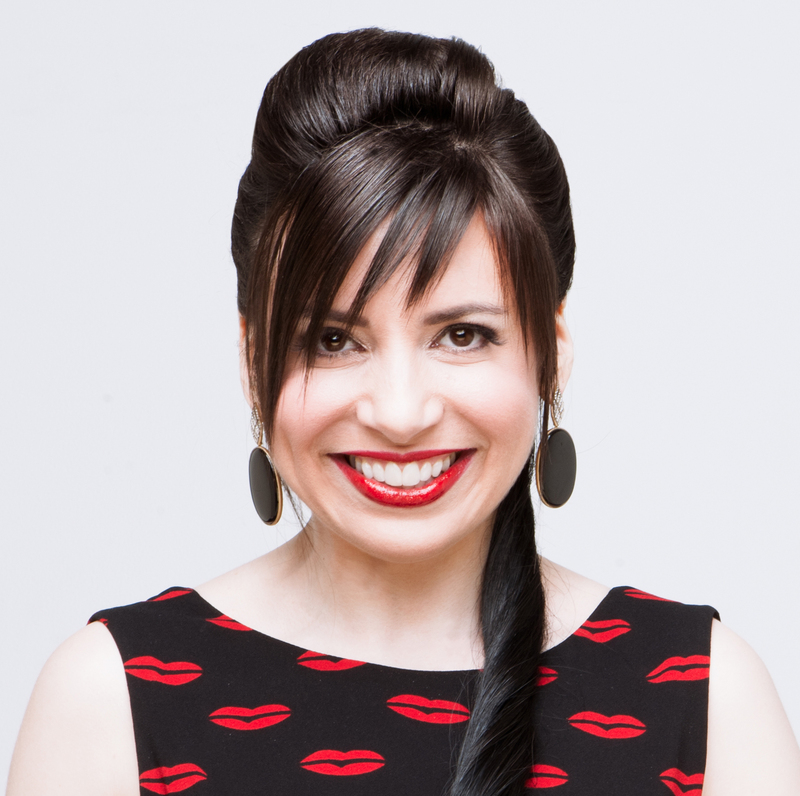 I try to link back to all the bloggers who write posts about me, whether they’re writing about me as a jewelry designer, blogger, friend or red-lipstick aficionado. If you do post about me, let me know so I can thank you. This is a list of blogs that have gone the extra mile and interviewed me. (You can contact me if you want to pitch an interview.) It includes a few non-blog items, but most of my mainstream media mentions are on the press page on my website. When I first started commenting on other people’s blogs, there was another Wendy who was active on the same blogs. I picked WendyB to distinguish myself. I’ve gotten used to people calling me that in real life now. I use both word verification and comment moderation because I get a hellacious amount of spam despite Akismet’s best efforts. I started getting a lot of smart spam in 2010. The spammers apparently have hired people who can write a legitimate-seeming comment. Sometimes those comments are smart and funny. But if I see that you’re linking back to a site selling counterfeit boots, bags or watches, I’m going to delete the comment no matter what you say. Note to new bloggers: If you want my readers to notice your URL, it is sufficient to link your name. There’s no need to put an additional URL in your comment. You’ll just get flagged as spam. Note to non-bloggers: You don’t have to have a blog to comment! I don’t always have time, but I do my best! Henry the dog = My Pekingese from the pound. Named after Henry teh 8. Gigi the dog = my Tibetan spaniel from a rescue group. She came with that name. FitzRoy the cat = my Exotic Shorthair cat. Named after an illegitimate son of royalty. I’ve won the following “prestigious” (if by prestigious you mean “not at all serious”) Drysdale awards : Blogger of the Year, Most Self-Promotion (twice) and my personal favorite, Blog With the Most Swears (twice). I came in third place for Best Fashion Blog in the 2008 Weblog Awards. I was proud because the two blogs ahead of me were big famous ones with tens of thousands of readers. No. The whole blog is an advertisement for my jewelry line. That’s enough advertising for me! I accept no ads, no sponsors, no guest posts, no sponsored posts. I also don’t promote other people’s jewelry lines unless they’re extremely close personal friends of mine, so please don’t ask. Fashion is fun but it’s also serious business. Read this post and you’ll have a lot of ammunition. Regular readers of my blog know that I keep clothes FOREVER. I only get rid of things that fall apart, don’t fit or suddenly look “what-was-I-thinking” ugly. So it does add up over the years. I put evening gowns in storage, because they take up a lot of space and are worn so infrequently. Everything else fits in my closets. I’m not hugely into makeup because I’m not that good at applying it! The one product I’m passionate about is red lipstick. I wear it most days. And my favorite red lipstick is MAC’s Pro Longwear Lipcolor in Lasting Lust. My hair often looks very shiny in photographs, so people are always asking me for my secrets. I don’t have any, unless you count Pert Plus. I straighten my wavy hair with a flat iron, but I’m not committed to any particular brand of iron. I do an occasional straightening treatment too.